Tech and the Job Search: Clean Up and Take Control of Your Image | Challenger, Gray & Christmas, Inc. In today’s job market, recruiters are not content with a great smile and a killer resume. Those are great tools that work towards the creation and maintenance of a professional image. But, alas, they are not the only ones. Start with the most obvious: your email address and your voice mail. Ensure your outgoing voice mail includes your name and a friendly, yet professional, greeting. Do not answer your cell phone if you are in a loud location or it is not an appropriate time to take a call. However, call back as soon as you are ready to speak business-like, and can talk with confidence. Make sure that your e-mail address is professional. We recommend some variation of your first and last name. Avoid nicknames or inside jokes, as they could make the wrong first impression. Google your name: do a search online and see what comes up. The results you see will be the same results anyone else is also able to see. Modify any account or profile settings for any information you have posted that you don’t want to be found. Recognize the difference between “public content” to your friends and “public content” to your potential employer, and act accordingly. 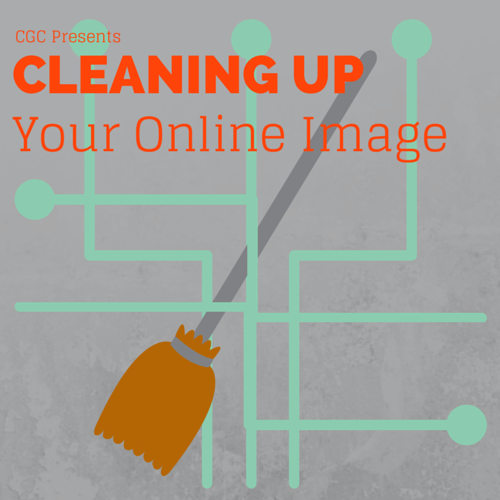 Clean up any content that will not benefit your job search. This includes foul language on your profiles, links to questionable content, and images that may not be suitable for all audiences. Check image results as well as web results when Googling your name on the internet, and clean up any pictures that do not reflect your job seeking strategy. Develop a presence in any professional website to which you subscribe and where you have the power to comment. If you want to be found, create user names that relate to your first and last name. Providing advice, guidance, and tips: adding a creative twist to an online topic in a professional way is well regarded by recruiters when looking for the right candidate.